By Brian Maguire – Brussels-based journalist and broadcaster. This weekly blog article is provided free for use under the Creative Commons standard licence. Antimicrobial resistance (AMR) is the result of our overreliance on traditional bacterial cleaning agents and antibiotic medicines. Bacterial mutation has become so fast and so complex that hospitals are now a place of risk rather than recovery, and the startling rise in hospital MRSA infection rates is destroying lives as well as national healthcare budgets. Hospitals, and other healthcare facilities, are now faced with huge compensation bills because of AMR related infections. The European Commission, the World Health Organisation and now, consumer lobby groups, have been calling for a fundamental shift in how Europe tackles AMR. The risks are to human and animal welfare; the costs are in quality of life and shocked budget lines. Goyens was voicing a growing concern in Brussels. DG Health and Food Safety at the European Commission is actively engaged in promoting #AMR awareness; but is it too little, too late? Mario Pinca, CEO at Italian health services group Copma, thinks it’s not too late, but time cannot be lost anymore. Pinca argues that traditional hospital cleaning systems are not sufficient and appropriate. He points to research by the University of Ferrara in Italy which proves how a probiotic-based hygiene system called PCHS can revolutionise clinical hygiene. “PCHS is the future of Europe’s healthcare hygiene, and a first and fundamental line of defence against #AMR,” said Pinca. He may be right, but what about the chemical cleaning lobby’s influence with medical decision-makers? Will Europe adopt a radical new hygiene approach just in time; or will bureaucracy bring Europe to its knees with a predictable, and stoppable global pandemic? Welcome to 2016. 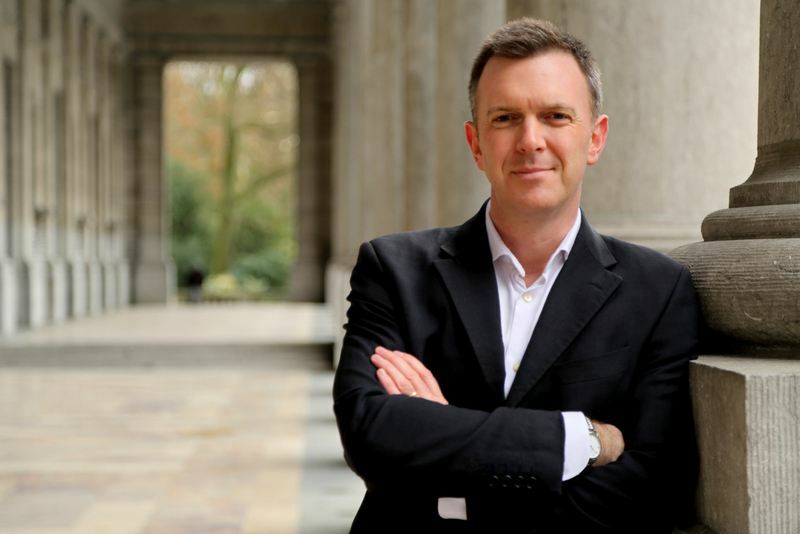 Brian Maguire is a Brussels-based journalist and broadcaster. EBX MEDiA is a European broadcast and production unit based in Brussels. Specialising in digital communication, television, radio and editorial production.